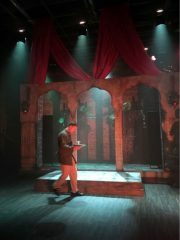 Othello, Union Theatre. Review by Barbara Lewis. Almost exactly 100 years ago on April 13, in Amritsar, the British Indian Army fired into a crowd of unarmed Punjabis, killing and harming hundreds. Director Phil Wilmott marks this appalling example of man’s inhumanity to man by transporting Othello from Venice and Cyprus to the India of the British Raj. 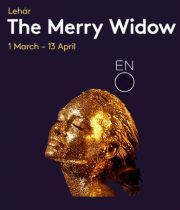 The Merry Widow, ENO. Review by Julia Pascal. This was the first time I had seen this operetta and the idea of Viennese kitsch did not excite me. Director Max Webster clearly shares my antipathy for schlock. His production is a wonderful reframing of the story from a post #MeToo perspective. Medea, The Barbican. Review by Julia Pascal. Medea is perhaps the most potent myth for the #MeToo generations. First-performed in 431 BC, Euripides’ drama has had countless interpreters. 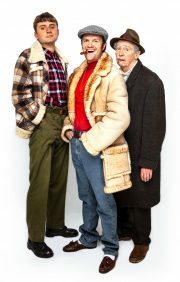 Only Fools and Horses, the musical. Review by Barbara Lewis. Five hundred years ago, Peckham was green and pleasant. By the 1980s and 1990s, when two of its most famous fictional characters Del Boy and Rodney Trotter were plying their dodgy wares, even the pigeons wanted to be elsewhere, or so Rodney tells us. 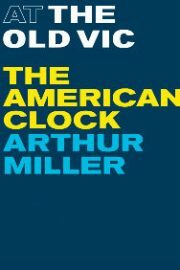 ‘The American Clock: A Vaudeville’ by Arthur Miller. Review by Gary Beahan. Of all the Miller revivals currently doing the capital’s round, ‘The American Clock’ is not the softest option for any director, actor or audience to take on. Part social documentary, part human drama, part political commentary, it can feel at times like it has bitten off more vision and message than it can theatrically deliver. The Good Person of Szechwan, By Bertolt Brecht. Review by Julia Pascal. It is rare to see productions of Brecht in London today. It is even rarer to see them performed in Russian.This jewel from Moscow came only briefly to London but it showed audiences that there is an antidote to endless naturalism. 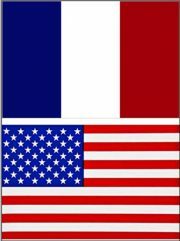 As a half French, half American individual, I give in to a pastime common to double nationals, which consists of regularly comparing both countries of origin. The Cherry Orchard, Moscow Pushkin Drama Theatre, Barbican. Review by Vivienne Avramoff. The Cherry Orchard lays bare, in elegiac tones, the passing of the old, entrenched aristocratic order and the emergence of the new at the expense of the old. 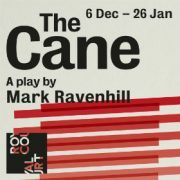 The Cane, by Mark Ravenhill, Royal Court Theatre. Review by Gary Beahan. One of the strengths of this piece of thoughtful social melodrama is that, by the end, any credibility stretched by the child-mob scenario is less important than the way we are moved to analyse our own response to one manifestation of historic institutionalised British child abuse. 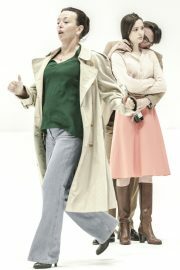 Time is Love, Finborough Theatre. Review by Barbara Lewis. Just as Keats’ elliptic “Beauty is truth, truth beauty” is comprehensible in context, the meaning of Che Walker’s “Time is Love/Tiempo es Amor” is made apparent by this superbly acted and eloquent 90 minutes of drama. 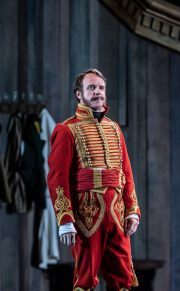 War and Peace, WNO. Review by Barbara Lewis. Tolstoy’s great, complex, genre-busting sprawl “War and Peace” is about many things, including Russian nationalism to the extent that when Hitler attacked the Soviet Union in 1941, Stalin reached for the work to promote a patriotic defence of the Motherland. Company, Stephen Sondheim and George Furth. Review by Barbara Lewis. Any story-line involving a single woman is inherently more dramatic than a narrative of a single man because of biology’s cruel deadlines.